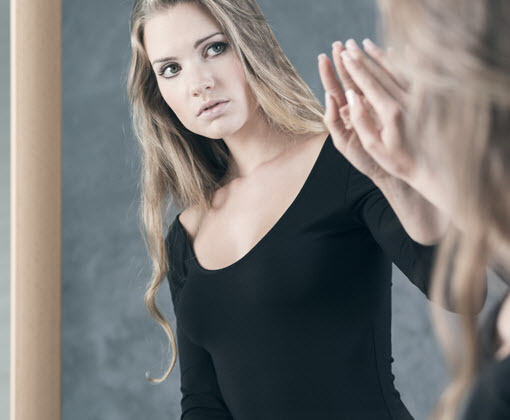 Why does healthy self-esteem even matter? Self-esteem is how you see yourself — how you feel about your skills and abilities and also your limitations. Healthy self-esteem is the cornerstone of good mental health. When you have healthy self-esteem, you feel good about yourself and see yourself as deserving of the respect of others. When you have low self-esteem, you place minimal value on your own opinions and ideas. You might constantly worry that you aren’t good enough. Parents, siblings, peers, teachers, ministers and other influential people — these relationships are fundamentally important to your self-esteem. The beliefs you hold about yourself today reflect messages you’ve received from these people and institutions over time. If you have strong relationships, in which you receive generally positive feedback, you are likely to see yourself as worthwhile, and therefore have healthier self-esteem. If you receive mostly negative feedback, and are often criticized, teased or bullied by others, you’re more likely to feel “less than” and struggle with poor self-esteem. However, past experiences and relationships don’t have to be your destiny. Your own thoughts and feelings have perhaps the most impact on your self-esteem — and these thoughts are within your control. If you tend to focus on your weaknesses or flaws, working on changing that can help you develop a more balanced, accurate view of yourself. How Can Therapy Help My Self-Esteem? We approach healthy self-esteem systematically over a 15-20 week period (time spent on each week is based on work the client will do outside of session and varies by the individual). Parkside Psychotherapy uses a proven program of cognitive behavioral techniques to assess, improve, and maintain healthy self-esteem. Week 1: We start by examining the nature of self-esteem by delving into its causes and effects. We will take a look at your inner or “pathological” critic (the negative voice you hear inside your head). Here, we will look for the critic’s origins, figure out why you listen to the critic, how the critic reinforces and gets reinforced and how to catch your inner critic. Week 2: Next, we’ll work towards disarming your inner critic. You’ll learn how to unmask its purpose, talk back to it, and make your inner critic useless. Weeks 3-4: You’ll work on developing an accurate self-assessment. You’ll take an inventory of your self-concept, list your weaknesses and strengths, and develop a new self-description which will celebrate your strengths. Week 5: We’ll take a look at cognitive distortions (thinking errors, or as I like to call it “stinking thinking”) and learn to combat them. Week 6: Do people ever tell you, “you’re too hard on yourself”? We’ll define compassion and work toward developing a compassionate mind for yourself and others. Week 7: “I should have done this”, “I should have said that”, “I should be more careful”, etc. How can you can stop “shoulding” all over yourself? We’ll examine how your values are formed, and look at healthy and unhealthy values and how “shoulds” affect your self-esteem. We will discover your own “shoulds” and challenge them, revise them, and cut them off. We’ll also look at when “shoulds” make sense. Week 8: Mistakes…we all make them! We’ll reframe mistakes, discuss awareness of mistakes, and raise your mistake consciousness. Week 9: You’ll learn how to respond to criticism by exploring the myth of reality, learning how to respond to criticism and put it all together. Week 10: You’ll learn to ask for what you need. We do this by understanding your legitimate needs, and learning what needs vs. wants are by taking a “wants” inventory and translating those wants into words. Week 11: We’ll explore goal setting and planning. What do you want? Which goals do you work on first and how do you evaluate them and make them specific. We’ll also discuss the importance of making a commitment to your goals and what blocks you might encounter to achieving those goals. Week 12: We’ll examine visualization, why it works, and some exercises and rules for creating effective self-esteem visualization. Week 13: You’ll learn how hypnosis can help you achieve self-acceptance and you will practice self-hypnosis by creating and recording your own self-esteem hypnosis script. Week 14: You’ll process what to do if you’re still struggling with feeling “ok.” We’ll examine special vulnerabilities you have as an individual, teach you how to protect yourself against the pain while still facing the pain. Week 15: You’ll identify your current core beliefs and develop new core beliefs based on your healthier self-esteem. Week 16: For parents or other caregivers, we’ll examine the role of the parent as a powerful mirror to their child’s self-esteem. You’ll learn to look at your child, listen, and teach them the language of self-esteem, discipline, and autonomy – you’ll learn how to model healthy self-esteem for your kids. Don’t waste another day feeling “less-than”. Change the way you see yourself and experience life and improve your self-esteem. Call Suzanne at Parkside Psychotherapy today!